Make sweet or savory breads using these Petite Loaf Baking Cups. 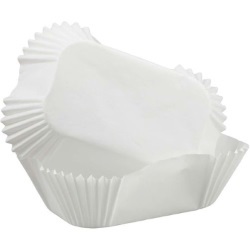 Oven-safe paper bakeware is perfect for making individually sized snack breads. Includes 50—1.25 in. x 3.25 in. x 2 in. loaf baking cups.